This is the first step to producing a landscape plan & possibly the most crucial, particularly for an existing house & garden. Checking the pre-existing conditions, such as where the house is actually situated on the block, whether fences are on the boundary, if there are easements, issues with site drainage, or problems to be resolved, is a part of this stage. I can advise or arrange a detail survey by a registered surveyor if required, and / or check & measure up myself. If required I can arrange a survey of underground services. A tree survey (landscape management & protection plan) is an occasional requirement, particularly for major re-development works &/or heritage sites. I can advise if this would be required. 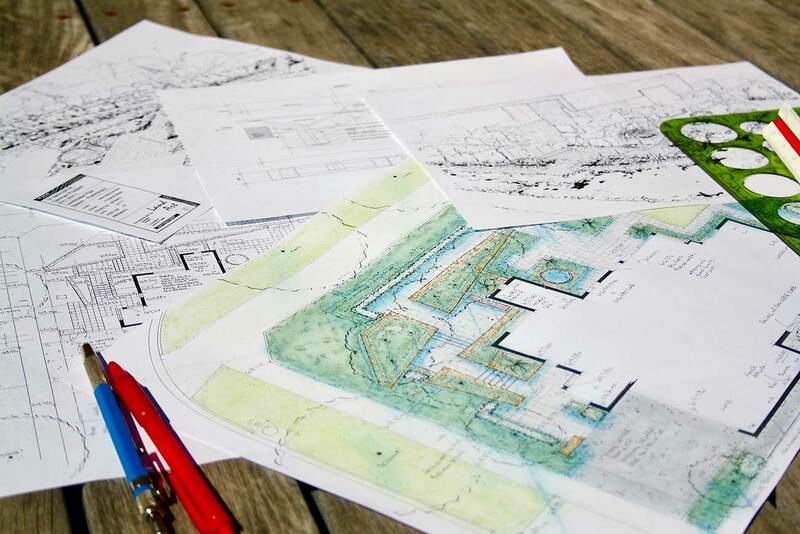 This base information allows for specifying finished levels, and developing a landscape plan that can be constructed as designed. A concept plan stage can be a useful option to consider. After the site planning stage we can explore some basic ideas along with construction cost estimates.